Who says eating out has to break the bank? 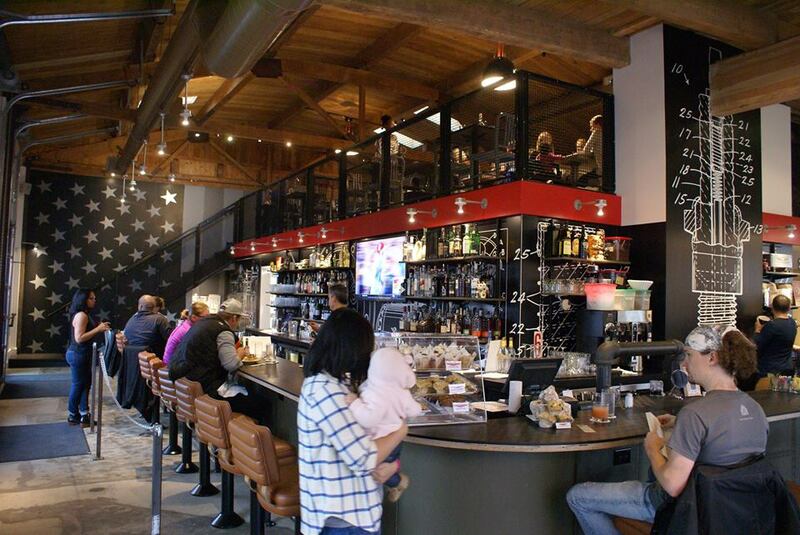 Seattle-area restaurants are increasingly family-friendly — even brewpubs. 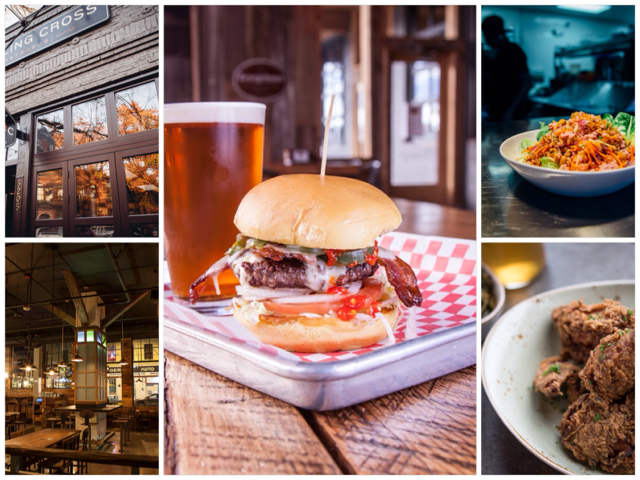 Spotlighting kids’ menus, happy hours and reasonable prices, these mostly new eateries offer opportunities to fill up on delicious meals and dynamite deals. With some creativity, a family of four can do lunch or dinner for under $50 at most of these spots. Just follow us! 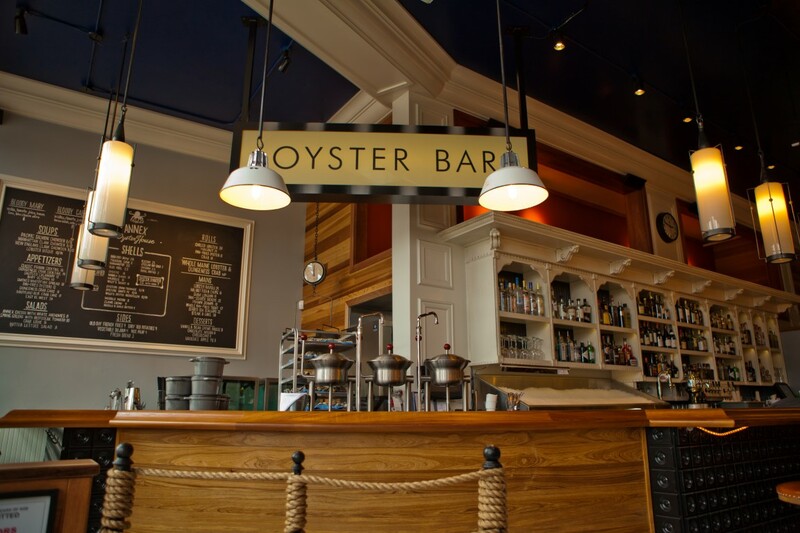 With nautical flair and an oyster bar, Ballard Annex has one of the best happy hours in town, running daily from 3:30–6:30 p.m. Grown-ups will love the raw oysters (usually one variety on rotation during happy hour), plump steamed mussels and Caesar salads; little ones will love the popcorn prawns, fish and chips, fried clams and chowder. You can supplement from the main menu, but we’ve never found a reason to. Kid-friendly tip: Nearby Clover Toys, also on Ballard Ave., sells unique items, many made from wood and fabric, that you won’t find at Target or other big-box stores. 3714 S. Hudson St., Seattle • 206-420-1201; happy hour 3–6 p.m.
You already may head to Columbia City for brunch at Geraldine’s or pizza at Tutta Bella — now you can add Super Six, a new spot from the folks behind Marination, to your hot list. The owners opted to keep the vibe of the eatery's former incarnation as an auto body shop, so the walls are decorated with the likes of antique tool boxes and mechanic's trolleys (the name of the restaurant is taken from a vintage Hudson Motor Car model). While happy hour, daily from 3–6 p.m., includes kid-friendly items such as a Hawaiian quesadilla for $5 and Spam sliders, prices are still reasonable on the regular dinner menu. Highlights include short ribs for $12, Hawaiian fried chicken wings for $9 and garlic-fried rice for $12. Kid-friendly tip: Follow (or precede) with a movie at Columbia City's Ark Lodge Cinemas. 1734 12th Ave., Seattle • 206-695-2588; happy hour 4:30–6 p.m. This one-year-old gourmet Mexican spot on Capitol Hill is known for its soft tacos, nine types, for $13 each. Each plate is served with three, which makes them very shareable. Besides tacos, you'll find an assortment of salsas and guacamoles to pair with chips, as well as starters (from $7–$15) such as ceviche, corn soup with roasted poblano and shrimp with grilled pineapple. The space is large and airy with an open kitchen that invites peeking and a laid-back sophistication befitting the delicious, authentic flavors. The happy hour menu is limited but fine, with tacos, quesadillas, guacamole and margaritas. Kid-friendly tip: Elliott Bay Book Company, with a Saturday story time and a fantastic kids' section, is just a few blocks away. This country-western style burger joint in Seattle's West Woodland neighborhood (commonly called Frelard for its location between Fremont and Ballard) is immediately inviting to kids and their thirsty grown-ups. Outfitted in rustic wood and picnic tables, the fun decor includes low saddles kids can "ride" on next to tables. Order at the counter, and while burgers are the main attraction (there are 10, from basic to the exotic), don't miss the gourmet greens, including a salad bar and items such as Asian sautéed spinach redolent with garlic and ginger. The kids' menu includes sloppy Joes, burgers or grilled cheese, each for $5, with (yummy) fries. Sides include fries, sweet potato fries or Haystack onions. Adults will also be pleased with the extensive draft beer offering: at least 26 kinds from all over the country, with Seattle well-represented. Kid-friendly tip: Follow your meal with a milkshakes (three flavors) or a spin on one of the vintage video games, such as Donkey Kong or Junior Pacman. This Mexican counter on Capitol Hill, which took over the former Kedai Makan window on Olive Way, serves Mexico City-style sandwiches: pulled pork, house chorizo, even a charred broccolini and spicy mushroom torta for vegetarians. 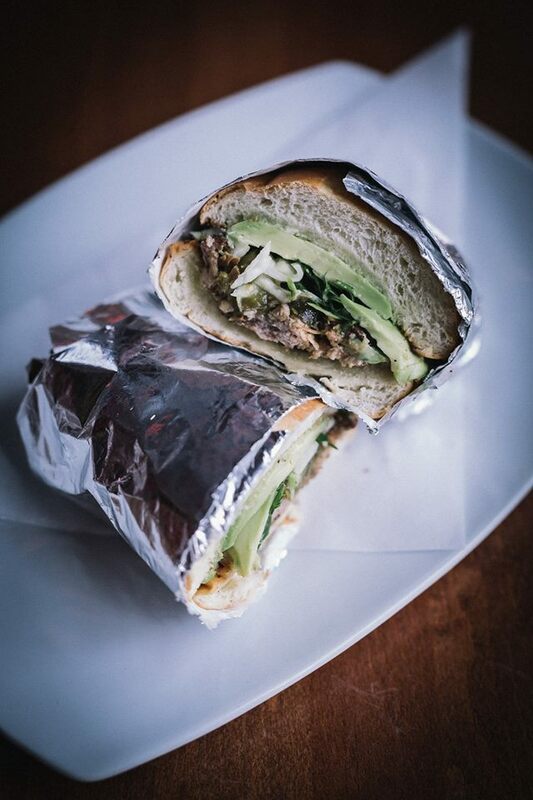 The messy sandwiches are handily wrapped in foil, so you can stroll along Broadway and nosh as you window shop. 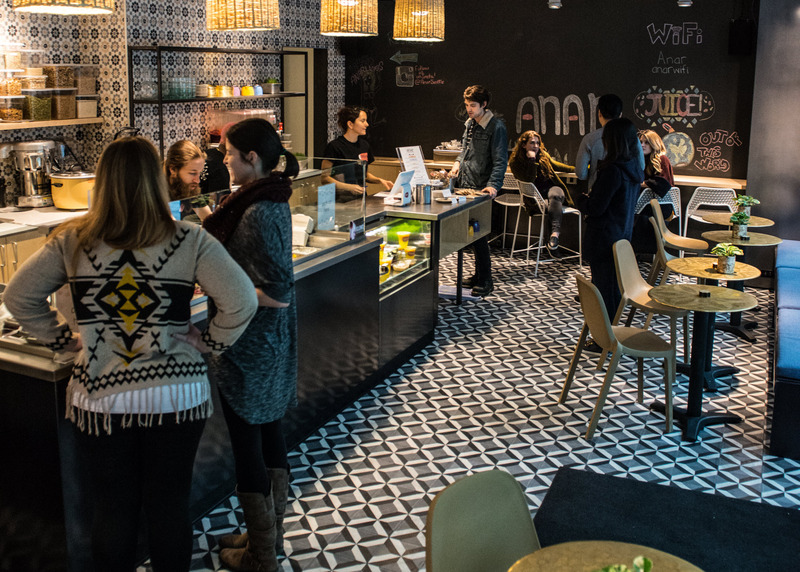 Note: Tortas Condesa opens at 4 p.m. daily, so it's not an (early) lunch spot. Kid-friendly tip: Precede your torta with a play stop at Volunteer Park, with awesome playground, wading pool and the Seattle Asian Art Museum. 1400 10th Ave, Seattle • 206-556-4853; happy hour 3-6 p.m. 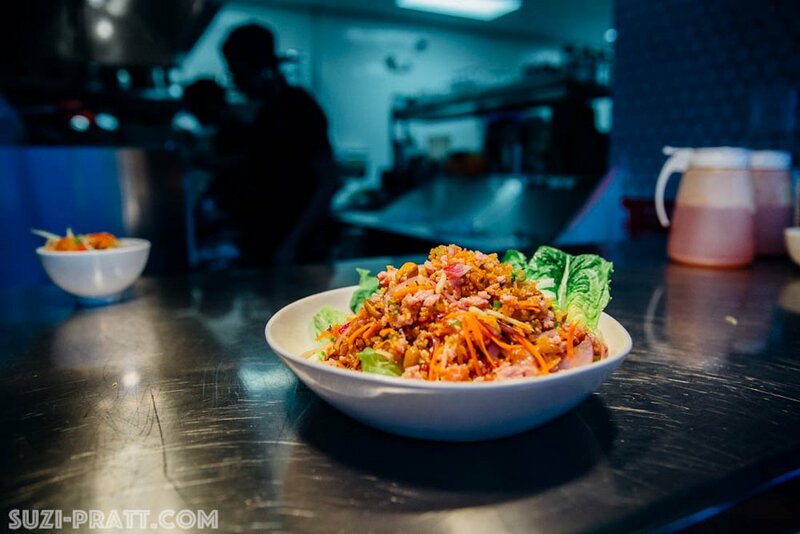 This new Thai restaurant on Capitol Hill focuses on Northern Thai food and ppeals to even picky kids with items like pork ribs, jumbo chicken wings, egg noodles with BBQ pork or rotisserie chicken (all with Thai flavors). Prices are always reasonable, but at happy hour from 3–6 p.m., you can fill up cheaply on most of those items at just $6–$9. Another plus is the sprawling minimalist space with wood-beamed ceilings, concrete floor and nary a Southeast Asian statue to be found. Kid-friendly tip: Finish off with “Street Vendor” donuts for just $6 (or $4 at happy hour). 5205 Ballard Ave. 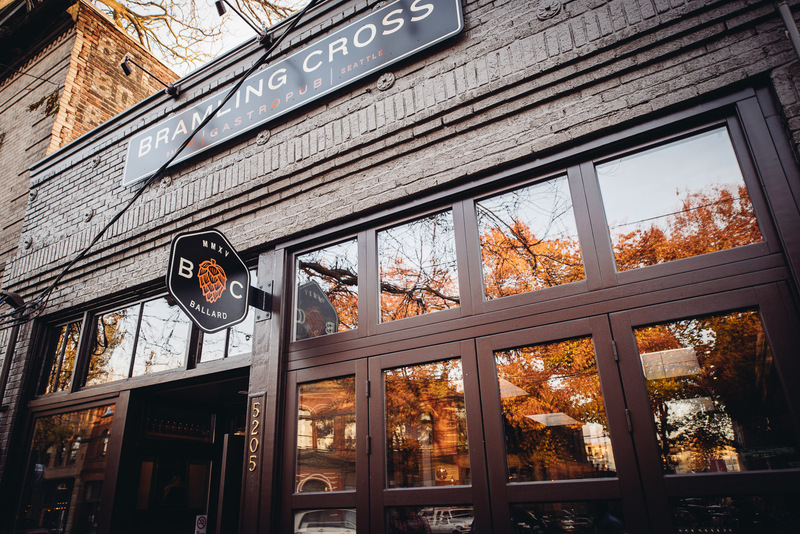 N.W., Seattle • 206-420-8192; happy hour 5–6 p.m.
Ethan Stowell’s new, modern interpretation of a pub in Ballard might feel like a gentleman’s clubby atmosphere, but families are welcome and deals can be found, particularly at happy hour (from 5–6 p.m.). The happy-hour menu stars yummy items such as gourmet spaghetti for $10, chicken wings for $8 and a juicy burger for $10. 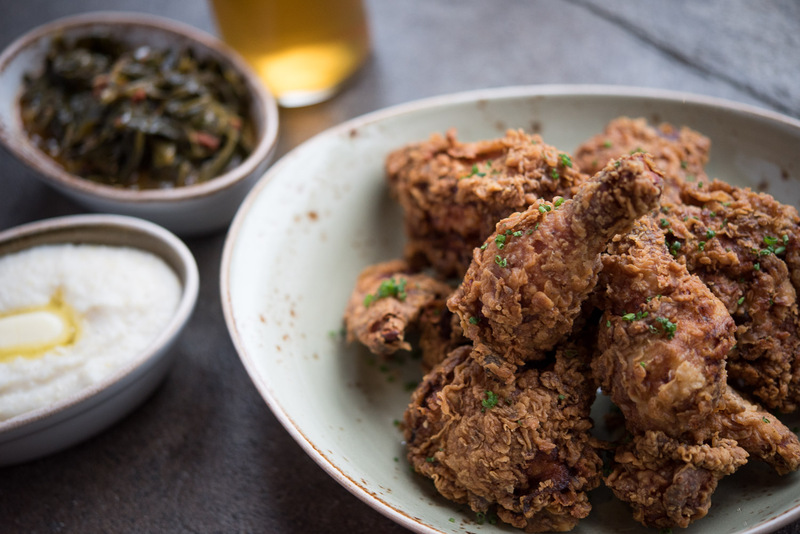 But for a really hungry crew, go with the $38 Dynamite Chicken, a Mad-Hatcher fried chicken served with buttery, silky grits and braised collard greens. The beer list offers 60 beers and ciders by the bottle and six on tap (almost all local). Kid-friendly tip: Take a spin to nearby Parfait for a scoop of ice cream made from all organic ingredients and a housemade base in flavors ranging from Meyer lemon to Ballard Bee honey and chocolate peanut butter cup. Kid-friendly tip: You’re just a short walk to the waterfront on Lake Union. Stop in at MOHAI or The Center for Wooden Boats. 9622 16th Ave. S.W., Seattle • 206-432-9765; happy hour 3–6 p.m.
Another reason to trek to White Center (besides Southgate Roller Rink and Full Tilt Ice Cream) is to chow down at this no-frills pizzeria. 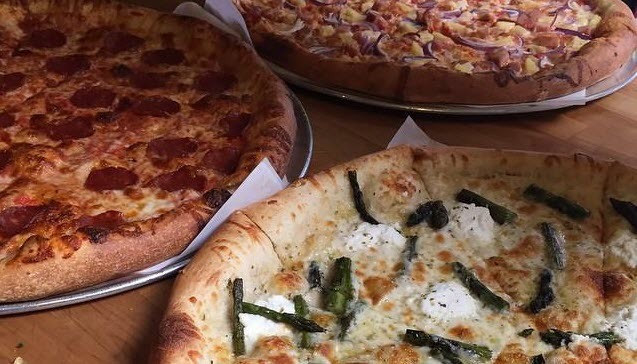 The thin-crust pies are available at 12- and 18-inch sizes, and during happy hour from 3–6 p.m., a few 18-inchers go for just $10–$12. You can also get slices from noon–4 p.m. Choose pies from the menu or build your own with toppings such as Zoe’s coppa, sliced red potatoes, Spam, pineapple, roasted garlic and more. There’s plenty of beer, wine and pre-mixed cocktails for adults, while kids get cane-sugar sodas, apple juice or Rachel’s Ginger Beer. There’s even a kids' appetizer plate of olives, pineapple, mozzarella and sliced baguette for just $4. Kid-friendly tip: Cross the street and get a cone at Full Tilt Ice Cream (cinnamon horchata, anyone?) and play a game of vintage pinball. 2918 S.W. Avalon Way, Seattle • 206-935-7250; happy hour 3–6 p.m. There's nothing new about this eclectic West Seattle diner where breakfast is served all day, but if you haven't yet brought your kids here, put it on your list. Eye candy abounds, from vintage memorabilia on the walls to a vintage Batmobile. During happy hour (3–6 p.m.), $7 buys you dishes such as chili cheese fries, a hummus plate, nachos, chili dogs, quesadillas and chicken strips. These same items are also $4 any time on the kids' menu, which also features Mickey Mouse-shaped pancakes for $2.99. Milkshakes are in 17 flavors, including Oreo and Creamsicle. Kid-friendly tip: You’ve crossed the bridge to get here, so why not take a stroll on Alki beach?